What is VSDX Annotator used for? How do I open Visio drawings with VSDX Annotator? Which file formats does VSDX Annotator support? What elements of Visio drawing does VSDX Annotator display? Can I edit drawings with VSDX Annotator? How can I share the modified document? How to save the modified file in .vsdx? What about objects outside page boundaries? Does VSDX Annotator show layers? Is it possible to preview embedded OLE-objects and metafiles? 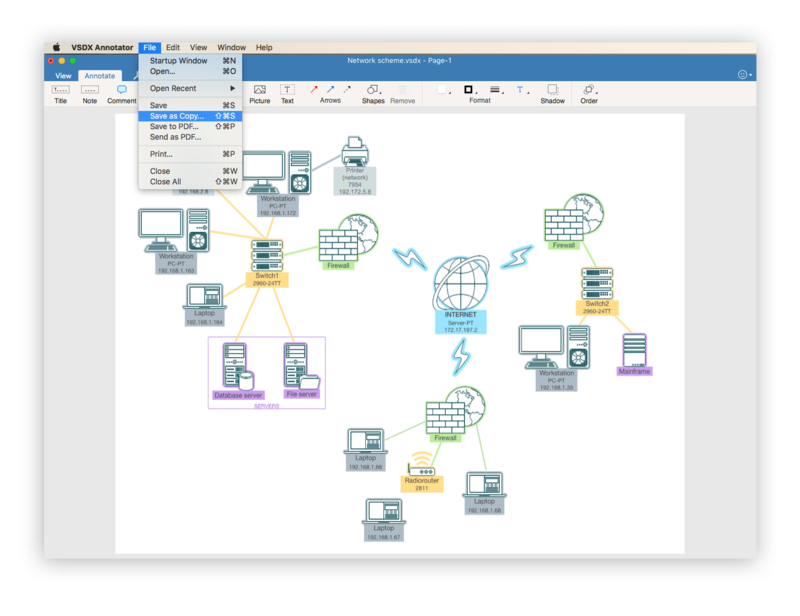 VSDX Annotator is a special app for Mac users to view and annotate Microsoft Visio 2000 – 2013 drawings in .vsd, .vdx, .vsdx, extensions. Launch the application. On the Startup Window click “Open” and choose a drawing from your Mac. 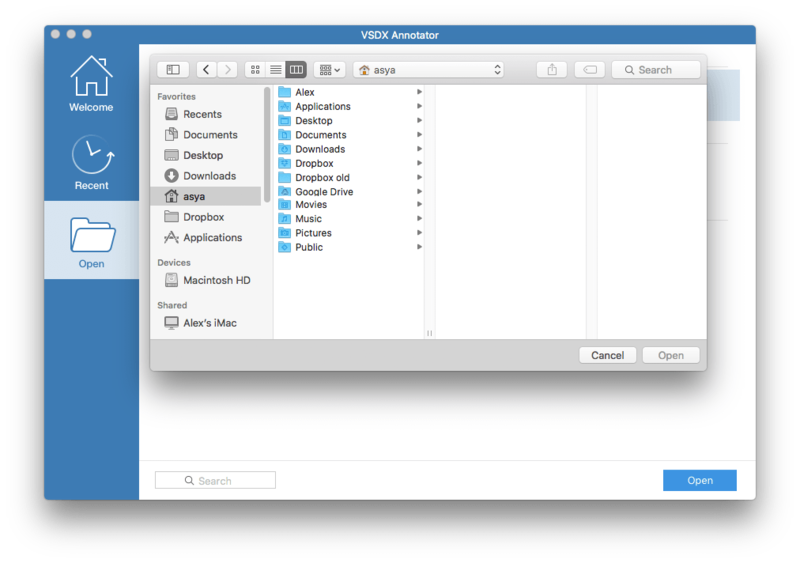 The second time you open the file you can use the “Recent” tab on the Startup Window, where files that have already been viewed are stored. 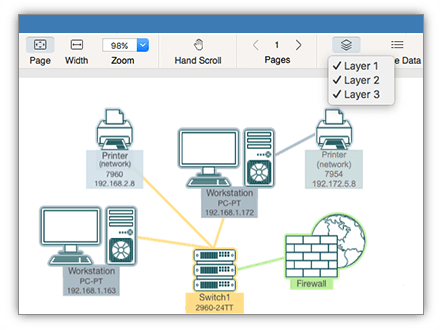 VSDX Annotator can open Visio drawings of .vsd, .vdx, .vsdx, formats. 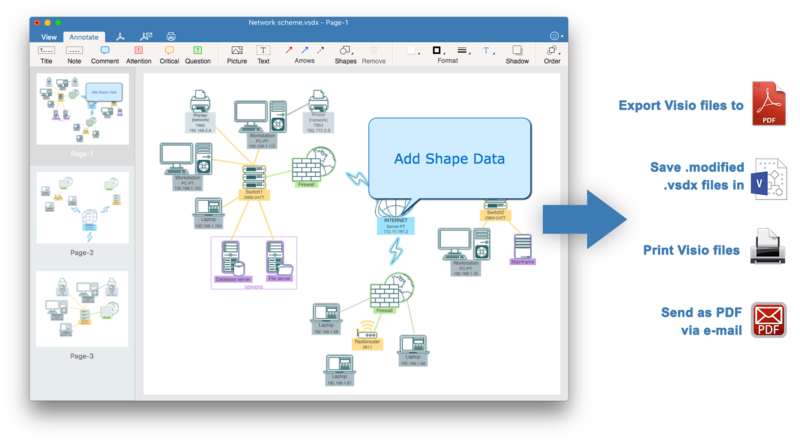 VSDX Annotator displays Visio drawings with a high image quality and renders all Visio file`s content: rich objects formatting, tabulated texts, background pages, dimensions objects, metafile images, links, OLE-objects, and others. 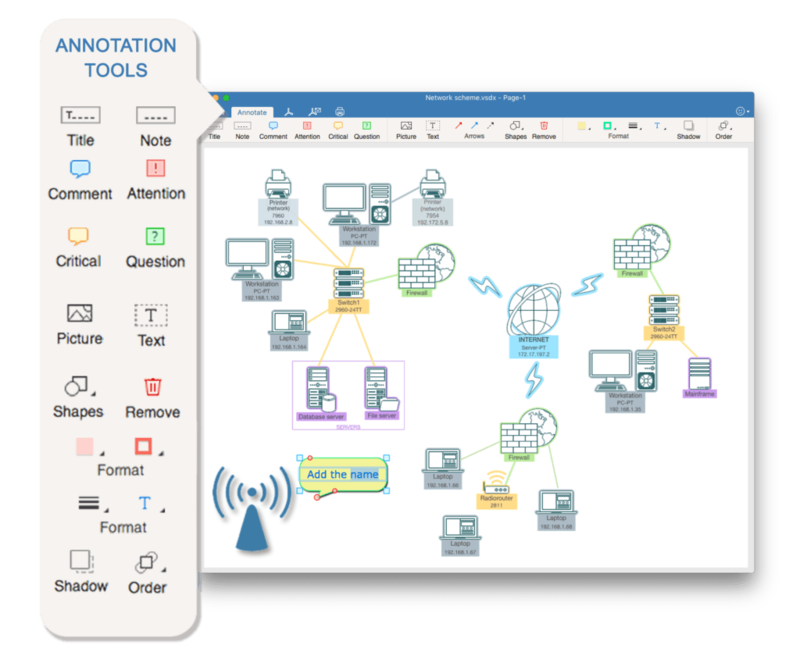 VSDX Annotator offers a total of 12 annotation tools to make changes in the drawing. Among them: adding text and any notes, drawing shapes, arrows, lines, inserting graphics files, etc. You can export the file to PDF, send the file in PDF via e-mail or print it. Since you opened a drawing of VSDX format, you can annotate it and save back to VSDX for further editing in MS Visio on Windows. Go to Menu Bar, click File → Save (or Save as Copy). Note: the feature is available only for files in .vsdx extension. VSDX Annotator allows to view objects that located outside page borders. To enable this feature, go to Application Preferences, and click the “Extend Drawing Area” option. Yes. 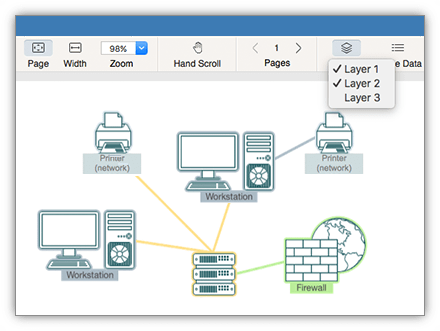 VSDX Annotator allows you to preview layers, show and hide them. Furthermore, you can view shape data, hyperlinks and guides. Yes. 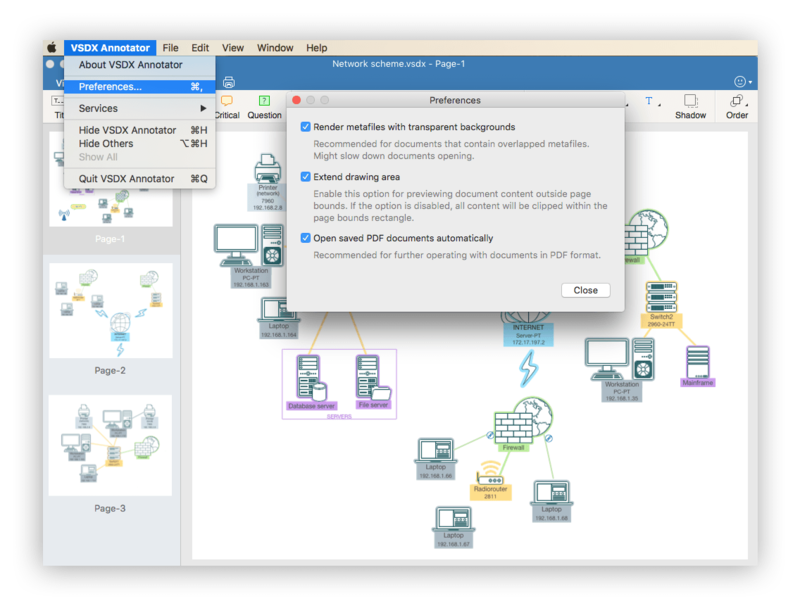 With VSDX Annotator you can view documents with embedded OLE-objects and metafiles (EMF, WMF).